First Response's Managing Director, Clive Haddrell has over thirty years experience with the Great Western Ambulance Service NHS Trust, caring for seriously ill and critically-injured people. 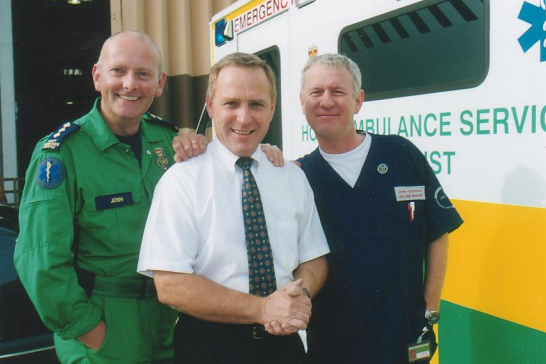 Clive has advised on first aid courses with many other training organisations and was also the BBC Paramedic Advisor to the well-known television program "Casualty" for many years. Meet the rest of the team here, or read about Clive's experience with Casualty and other topics in his blog. As a paramedic, Clive has long recognised the importance of good first aid, resuscitation and defibrillation skills, yet many individuals lack even the most basic first aid knowledge. From this need was born First Response Resuscitation & First Aid Training Ltd – Established (1999). A training company specialising in providing great quality First Aid and Resuscitation Training to a wide range of health service employees; commercial and service companies. First Response also runs courses for groups and individuals from the general public. Staff Clinical – Practical skills maintained. 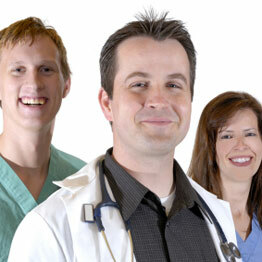 Provide you and your staff with a Competent Response in Managing a Medical Emergency. Maintain Standards to Current Published Resuscitation Council (UK) 2015 Guidelines. Up to Date Protocols & New Practices. Adopt best practice in Resuscitation and Emergency Care. ISO 9001:2008, OHSAS 18001:2007, & ISO 14001:2004 Registered. Clinically Governed by NHS Medical Consultants. Selected courses are CPD Certified (Primary Care Resuscitation and Medical Emergencies). Tutors (Clive Haddrell, Tim Hart and Sheila Mitchard) are Memeber of the The CPD Certification Service. Tutors & Assessors each hold NHS & external teaching qualifications. Tutors & Assessors each have thirty years minimum front-line Accident & Emergency "Hands On" operational experience. Tutors & Assessors are monitored yearly by Internal & External Verifiers. Tutors are Members of the Institute for Learning MIfL. Tutors & Assessors are all CRB checked. And finally, if you you have ever attended one of our courses and been given a Feedback & Surveys code, we'd love to hear from you. All our online surveys can be found in this section. If you would like to discuss any training needs that you may have, or any rescuscitation or first aid topis, please feel free to get in touch.